- NWA-TNA PPV (Show #86, March 24, '04) = Dallas & Kid Kash beat Simon Diamond & Sonny Siaki in the 1st Round of the NWA World Tag-Team Title Tournament. - NWA-TNA PPV (Show #87, March 31, '04) = Dallas & Kid Kash defeated the New Church in the semi-finals of the NWA World Tag-Team Title Tournament. - NWA-TNA PPV (Show #88, April 7, '04) = Dallas & Kid Kash took down Christopher Daniels & Low-Ki to win the NWA World Tag-Team Title Tournament. - NWA-TNA PPV (Show #89, April 14, '04) = Dallas & Kid Kash lost the NWA World Tag-Team Titles, via DQ, to D-Lo Brown & Apollo (in NWA-TNA, the titles change hands on DQs & Countouts). - NWA-TNA PPV (Show #90, April 21, '04) = Dallas & Kid Kash won, via DQ, over D-Lo Brown & Apollo, winning them back the NWA World Tag Titles. - NWA-TNA PPV (Show #91, April 28, '04) = Dallas & Kid Kash retained the NWA World Tag straps, winning a "Nightstick On A Pole" Match over D-Lo Brown & Apollo. - NWA-TNA PPV (Show #94, May 19, '04) = Dallas & Kid Kash, as the NWA Tag Champs, lost a "Non-Title Bunkhouse" Match to James Storm & Dusty Rhodes. - NWA-TNA PPV (Show #96, June 2, '04) = Dallas & Kid Kash retained the NWA Tag Titles, beating James Storm & Dusty Rhodes. - NWA-TNA PPV (Show #98, June 16, '04) = Dallas was pinned by AJ Styles. - NWA-TNA PPV (Show #104, July 28, '04) = In a dark match, Dallas defeated Silas Young. - NWA-TNA PPV (Show #108, August 25, '04) = Dallas, Kid Kash, & Monty Brown fell to AJ Styles, Jeff Hardy, & Ron Killings. - NWA-TNA PPV (Show #109, September 1, '04) = Dallas & Kid Kash lost a "Street Fight" Match to AJ Styles & Ron Killings. - NWA-TNA Victory Road '04 (November 7, '04) = Dallas, Kid Kash, & the Naturals were beaten by Erik Watts, Ron Killings, Pat Kenney, & Johnny B. Badd. - BCW Night Of Appreciation For Sabu (December 12, '04) = Dallas fell to Monty Brown. - NWA-TNA Against All Odds '05 (February 13) = Lance Hoyt & Kid Kash lost to the NWA World Tag-Team Champions, America's Most Wanted. - NWA-TNA Destination X '05 (March 13) = In a dark match, Hoyt & Kid Kash took down Cassidy Reilly & Jerelle Clark. - NWA-TNA Lockdown (April 24, '05) = Hoyt & Chris Candido lost a "Steel Cage" Match to Sonny Siaki & Apolo. This is the match where Candido broke his leg, which later led to his death. - NWA-TNA Hard Justice (May 15, '05) = Hoyt competed in the "Gauntlet For The Gold" Match, which was won by Abyss. - TNA Slammiversary (June 19, '05) = Hoyt fell to Bobby Roode. - TNA No Surrender (July 17, '05) = Hoyt & the Naturals were beaten by Team Canada (Bobby Roode, Eric Young, & A1). - TNA Sacrifice (August 14, '05) = Hoyt lost to Abyss. 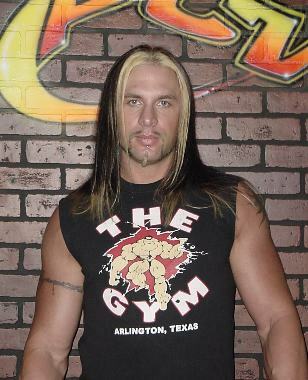 - TNA Chris Candido Memorial Cup Tag-Team Tournament (August '05) = Hoyt & Konnan beat Kip James & Petey Williams, then fell to the eventual winners, Alex Shelley & Sean Waltman. - TNA Unbreakable (September 11, '05) = Hoyt & Apolo lost to Monty Brown & Kip James. - TNA Bound For Glory (October 23rd, '05) = Hoyt was beaten by Monty Brown. Later on, Hoyt competed in a "#1 Contenders Gauntlet" Match, which was won by Rhino. - TNA Genesis (November 13, '05) = In a dark match, Hoyt & the Naturals fell to the Diamonds in the Rough. - TNA Turning Point '05 (December 11) = In a dark match, Hoyt (subbing for Jeff Hardy) & the Naturals defeated Buck Quartermain, John Bolen, & Joe Doering. - TNA Final Resolution '06 (January 15) = In a dark match, Hoyt, Jay Lethal, & Kenny King fell to Team Canada (Petey Williams, Eric Young, & A1). - TNA Against All Odds '06 (February 12) = In a dark match, Hoyt, Cassidy Riley, & Shark Boy beat Shannon Moore & the Diamonds In The Rough (Elix Skipper & David Young). - TNA Destination X '06 (March 12) = Hoyt took down Maverick Matt. - TNA No Surrender '06 (September 24) = Hoyt & Ron Killings competed in a "Tag-Team #1 Contenders Battle Royal", which was won by the Naturals. - TNA Bound For Glory '06 (October 22) = In a dark match, Hoyt was beaten by Robert Roode. - TNA Fight For Your Right Tournament (October/November '06) = Hoyt won a seed in the tournament during the "Three Stages" Match, while also lasting to the final stage of the match, losing to Abyss. In the actual tournament, Hoyt fell in the Quarter-Finals to Ron Killings. Abyss won the tournament. - TNA Genesis '06 (November 19) = Hoyt & Ron Killings defeated Alex Shelley & Austin Starr. - TNA Turning Point '06 (December 10) = In a dark match, Hoyt & Ron Killings beat Serotonin (Bentley, Devine, & Kazarian). - TNA Final Resolution '07 (January 14) = In a dark match, Hoyt won over Chase Stevens. - TNA Against All Odds '07 (February 11) = Hoyt defeated Dale Torborg. - TNA No Surrender '07 (September 9) = Hoyt & Jimmy Rave competed in a "#1 Contenders Tag-Team Gauntlet" Match, which was won by AJ Styles & Tomko. - TNA Bound For Glory '07 (October 14) = Hoyt competed in the "Fight For Your Right Battle Royal", which was won by Eric Young. - TNA Fight For The Right Tournament '07 (October/November) = Hoyt lost in the first round to the eventual winner, Frankie Kazarian. - TNA Turning Point '07 (December 2) = Hoyt competed in the "Feast Or Fired" Match, which was 'won' by BG James, Scott Steiner, Petey Williams, and Senshi. - TNA Final Resolution '08 (January 6) = The Rock 'n' Rave Infection (Hoyt & Jimmy Rave) fell to LAX. - TNA Against All Odds '08 (February 10) = In a dark match, the Rock 'n' Rave Infection were beaten by Austin Creed & Sonjay Dutt. - TNA Destination X '08 (March 9) = The Rock 'n' Rave Infection lost a "#1 Contenders Three-Way" Match to the Latin American Xchange. The Motor City Machine Guns were the other participants. - TNA Lockdown '08 (April 13) = The Rock 'n' Rave Infection competed in the "Cuffed In The Cage" Match, which was won by Frankie Kazarian & Eric Young. The Latin American Xchange, the Motor City Machine Guns, Black Reign & Rellik, and Scott Steiner & Petey Williams were the other participants. - TNA Slammiversary '08 (June 8) = In a dark match, Hoyt & Johnny Devine fell to the Motor City Machine Guns. - TNA No Surrender '08 (September 14) = The Rock 'n' Rave Infection & Christy Hemme fell to the Prince Justice Brotherhood (Curry Man, Shark Boy, & Super Eric). - TNA Final Resolution '08 (#2) (December 7, '08) = Lance Rock competed in a "Feast Or Fired" Match, which was won by Curry Man, Jay Lethal, Hernandez, and Homicide. 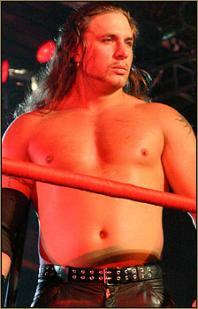 - FCW Halloween Edition (October 29, '09) = Vance Archer defeated Johnny Prime. - WWE Wrestlemania XXVI (March 28, '10) = In a dark match, Archer competed in a "Battle Royal", which was won by Yoshi Tatsu.